The latest short term roadmap for April-May is out! We hope you enjoyed the last roadmap updates wherein we saw 2 new Network Members Prudensolve and Cointelligence join the growing list of reputed partners and clients to become an AMLT Token Network Member. We have shared the 6 month Beta period stats which saw 1668 unique addresses that were reported by Network members and over 1 Million AMLT tokens were rewarded. In March we received 272 addresses and 100k AMLT token were rewarded. We hope you didn't miss the Announcement where you could earn 200K AMLT Tokens in April as increased reward. So go for it! Coinfirm's latest "Know Your Exchange" report has been making headlines and created a constructive debate amongst crypto users, exchanges and regulatory bodies. In case you missed that newsletter then you can access the report here. Let us know what your feedback. 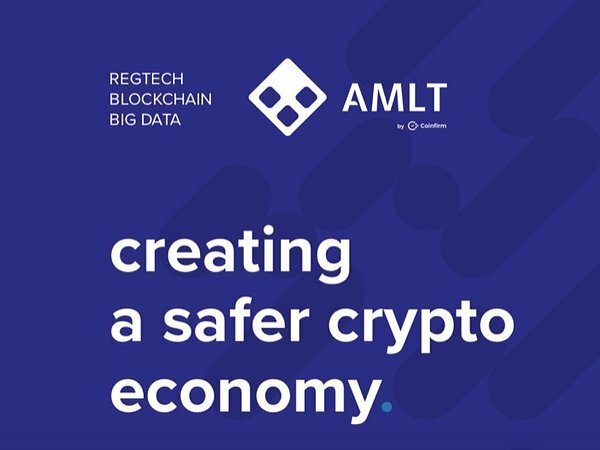 We believe in educating our community of all tactics, trends from the crypto world hence we shared the "How to Launder Crypto Through Miners Report"
As AMLT token holders and Network members it's important that you be familiar with "The AMLT Governance Model & Token Protection Programme" which was one of most important roadmap releases last month. The AMLT Team likes to make some surprises too :) like the AMLT Token that was made available on Pillar Wallet where you can send AMLT Tokens to anyone in the world while chatting with them in real time. This was a quick recap of activities from the last roadmap. The new roadmap is quite exciting as majority of activities are focused on improving the user experience for AMLT Token holders and Network members. Take a look at the graphic below and let us know what you think of this roadmap and if there is anything you’d like to see.